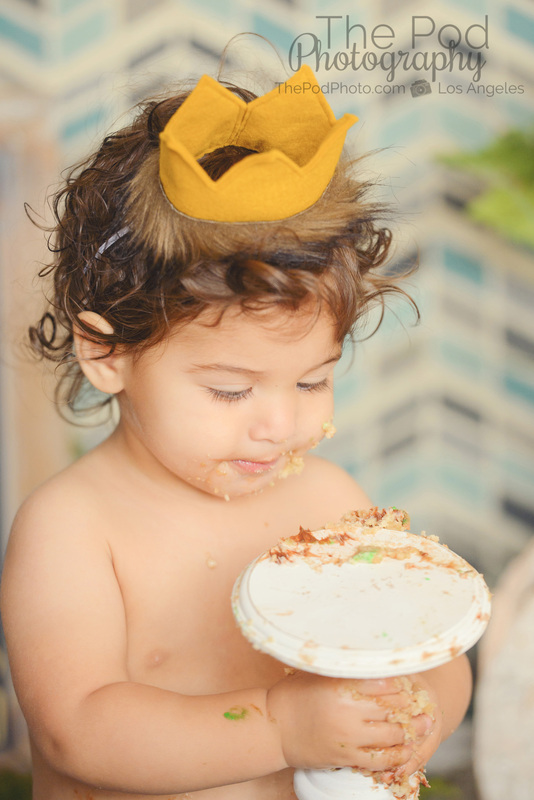 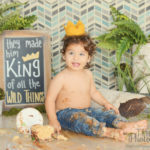 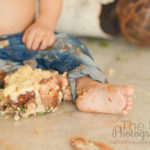 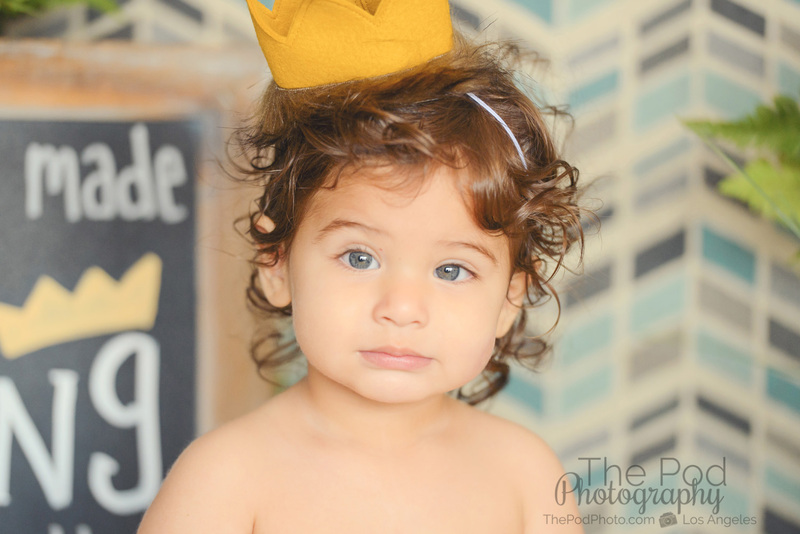 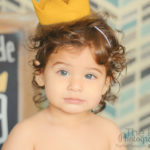 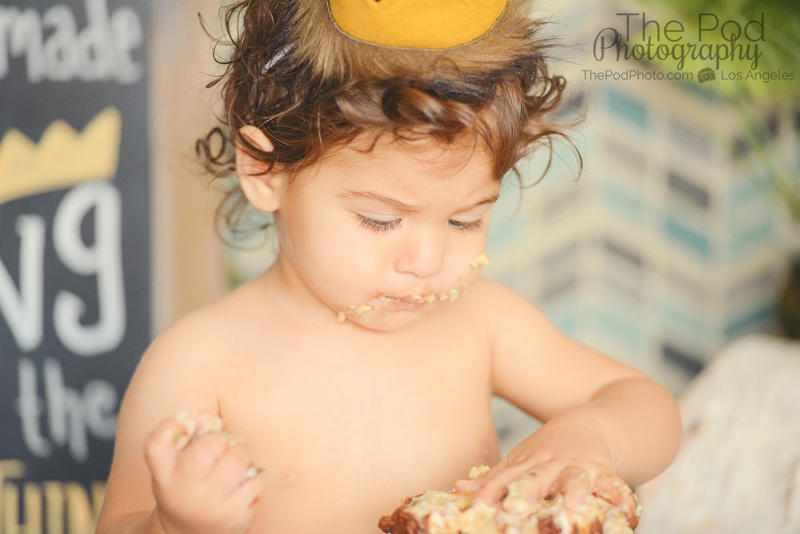 "Where The Wild Things Are" First Birthday Cake Smash | Los Angeles One-Year-Old Custom Portrait Photography - Los Angeles based photo studio, The Pod Photography, specializing in maternity, newborn, baby, first birthday cake smash and family pictures. 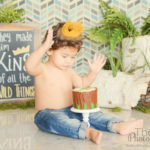 White seamless paper, maybe a banner or sparkles in the background, balloons, paper party decorations, pointy birthday hats, a diaper cover with a matching bowtie… and you get a different version of that no matter what you look for! 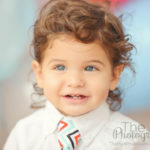 Don’t get me wrong, it’s super adorable. 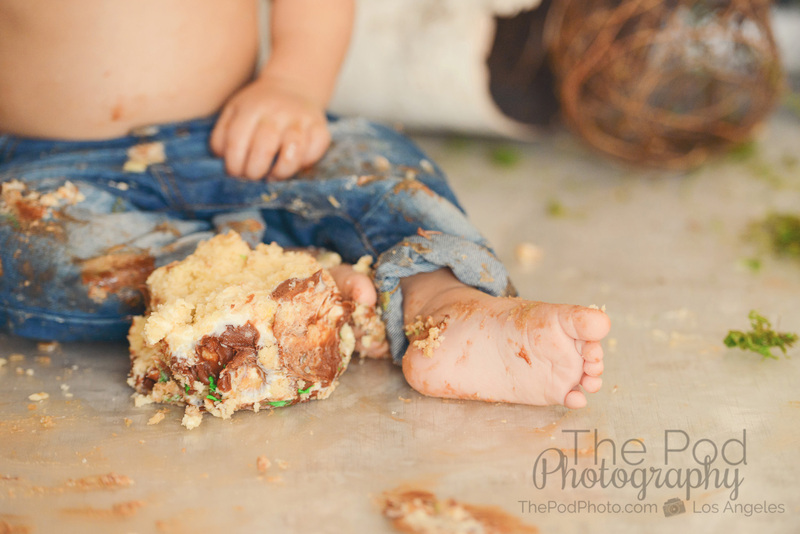 I mean, who doesn’t love a naked baby covered in cake? 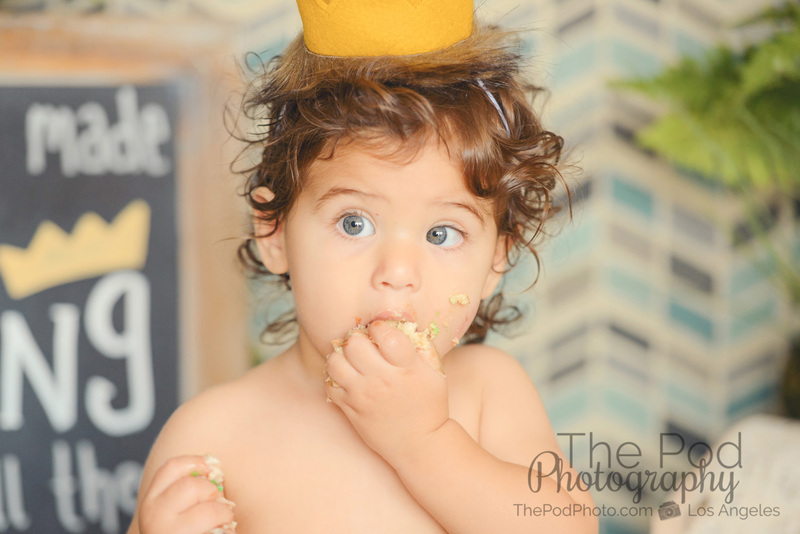 However, where we look from at our Los Angeles portrait studio when we plan out our first birthday portrait sessions is, “What can we give to this family that they cannot get anywhere else? 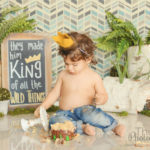 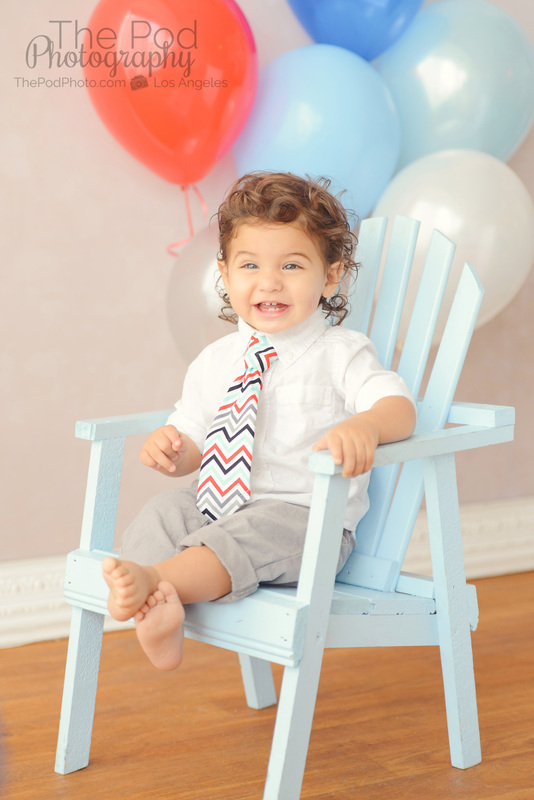 What can we create for you that is so unique, so personal, and totally show-stopping?” and all the while, it ties in perfectly to your baby’s first birthday party theme! 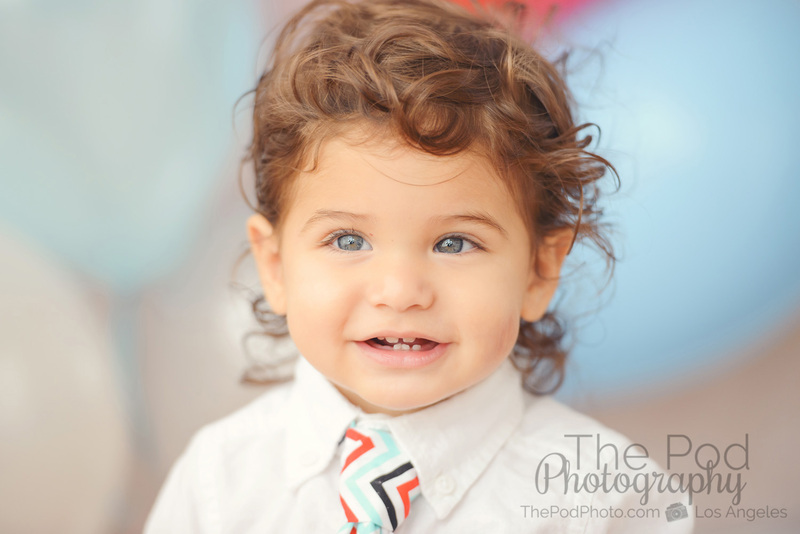 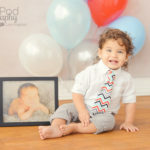 We were torn for Baby Dillan’s first birthday session below, because Mom really, really loved that classic look with balloons and a tie, but also really wanted to play up the party theme. 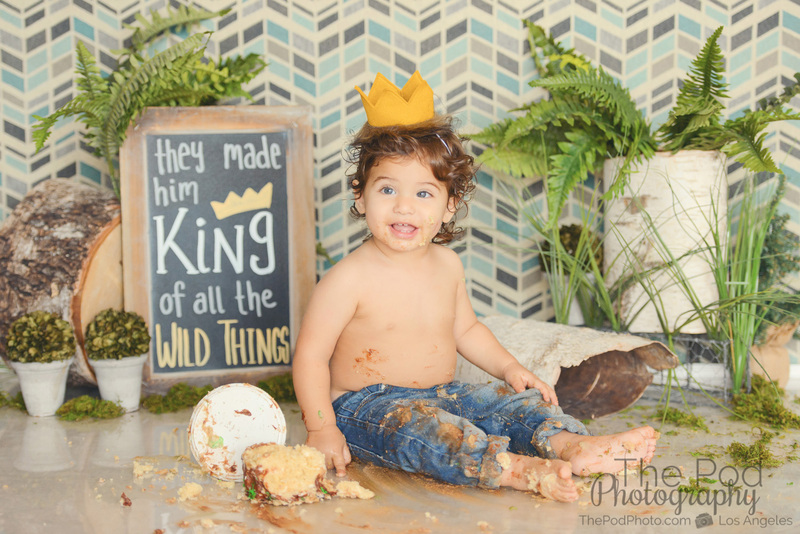 So we did a little of both! 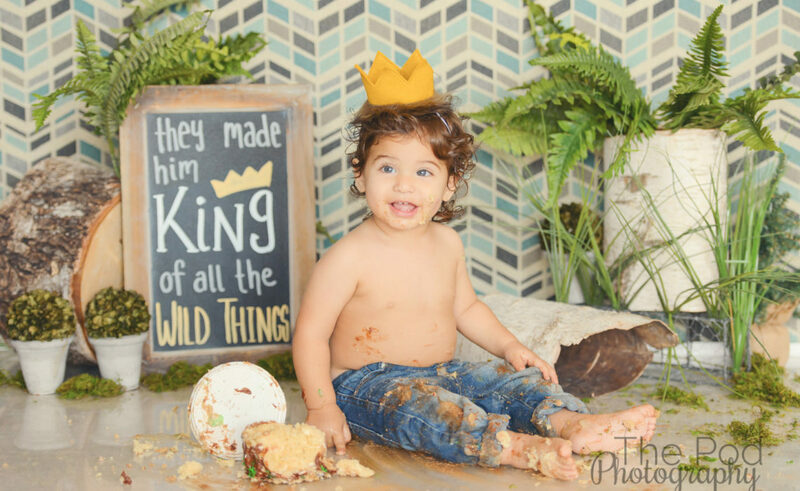 But since we knew we wanted a little more tummy showing for his cake smash, we dressed him up like a little gentleman for his classic balloons shots. 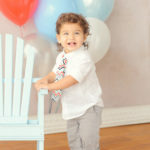 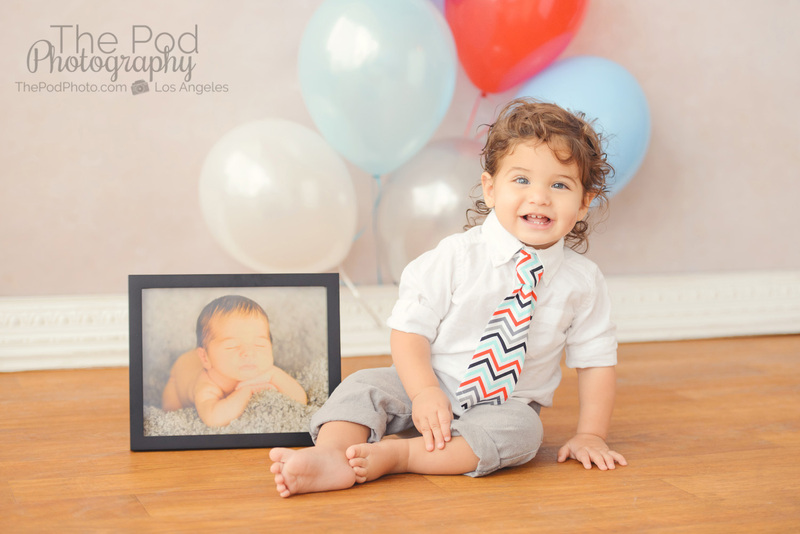 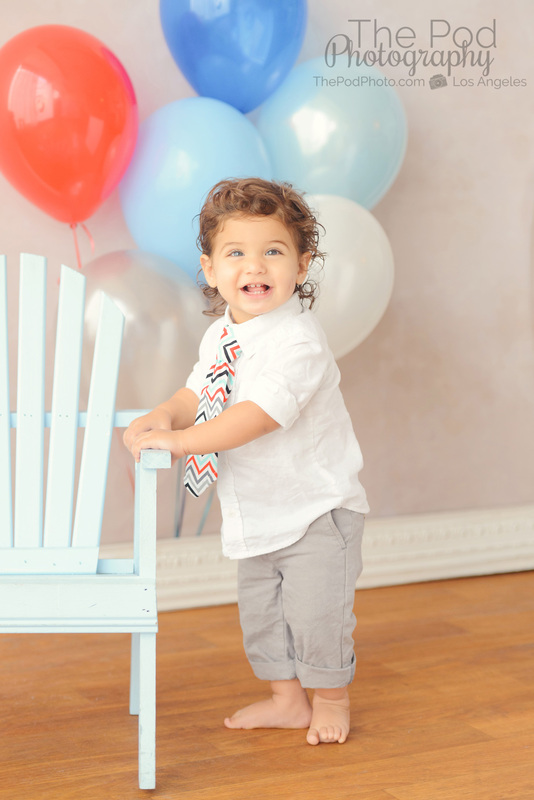 With corduroys, a white button down, and colorful tie to pick up the colors of the balloons, Dillan was dressed to impress! 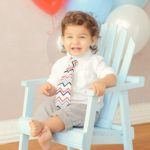 Mom even brought in one of his newborn photographs that we took to show how much has changed in one year! 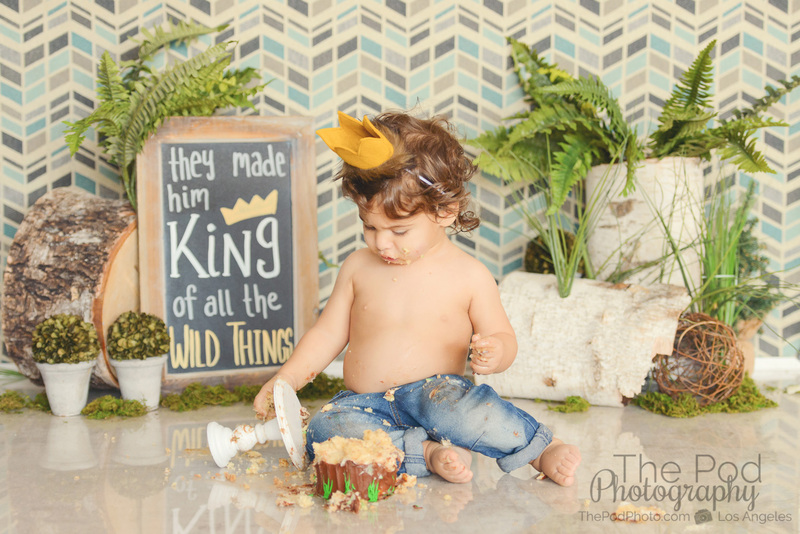 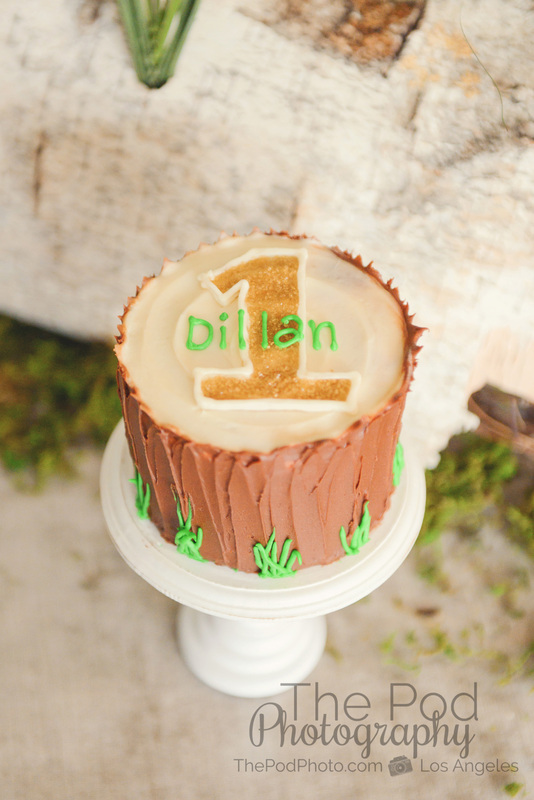 Now, for Dillan’s cake smash, we knew we wanted to go all out and use his “Where The Wild Things Are” party theme, and that’s where our custom set design came into play. 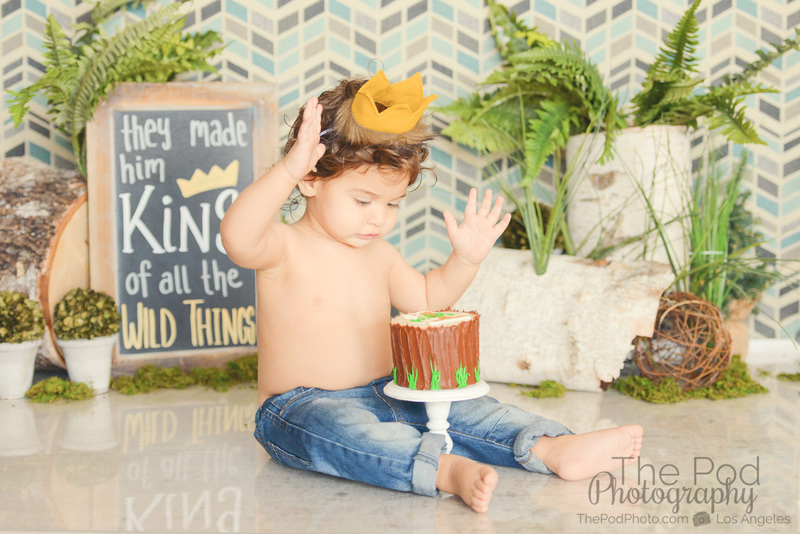 We know what a big deal first birthdays are (especially in Los Angeles), and so we love to build and create 100% custom sets for each one of our clients. 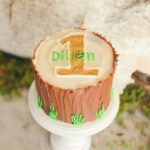 With a little crafting and some shopping on our end, Dillan’s WTWTA set came to life, and it was so adorable! 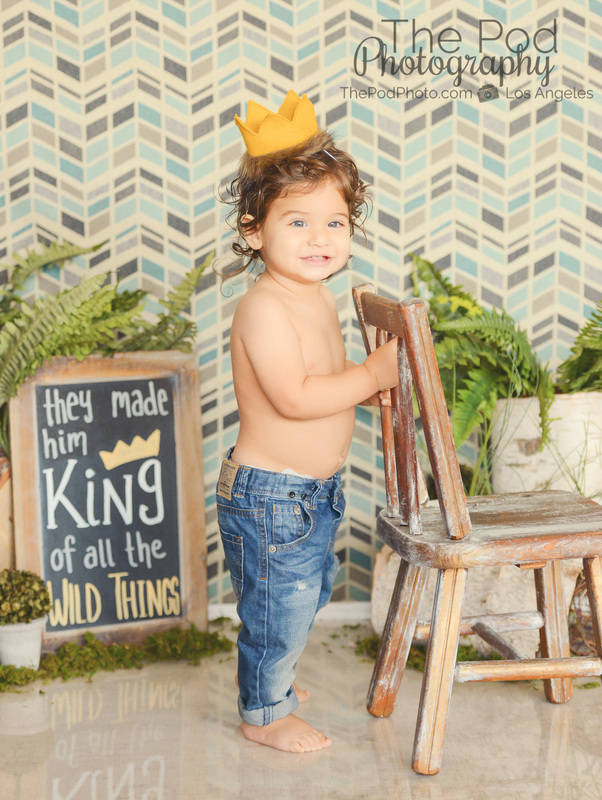 We are obsessed. 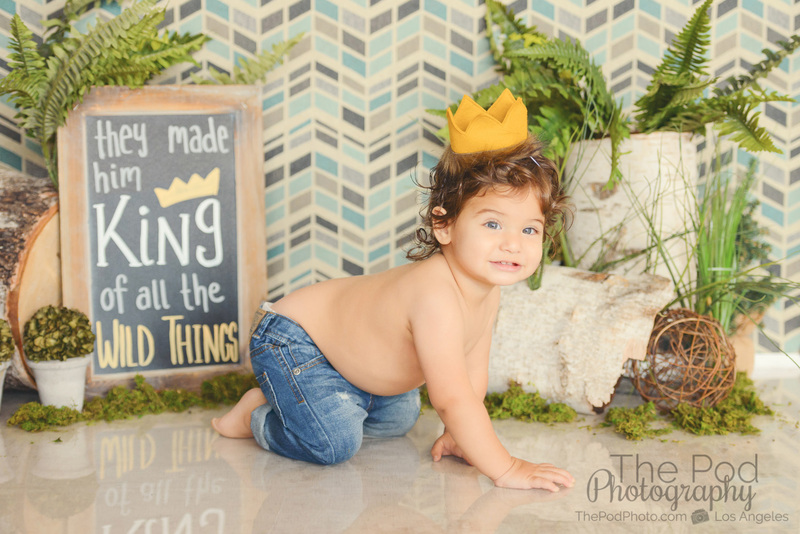 Give us a call at 310-391-4500 to set up a consultation with your photographer and be sure to follow us on our Blog, Facebook, Instagram and Google+ to see what we’ve been up to, or explore out YouTube page for more!